The Karari restaurant in the Fresh Park Karari - Roadside Station Uchiko is a cozy restaurant surrounded by the nature of the four seasons. 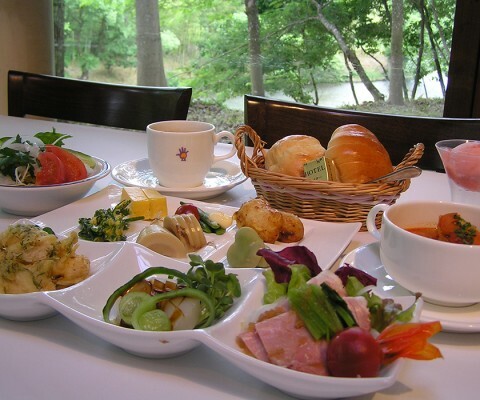 The weekday lunch menu is recommended. 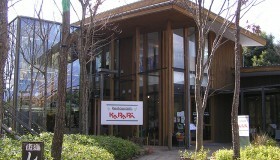 There is a weekly lunch menu with all-you-can-eat side dishes and salad bar with vegetables grown in Uchiko. 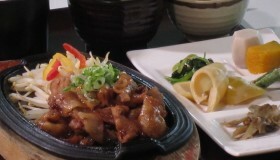 Each main dish is a special creation of our chef. Dessert and coffee is also included. 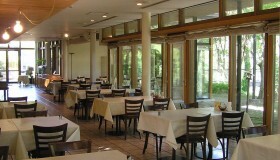 Please enjoy the delicious meals, while admiring the rich nature of the other side of the glass walls.